Ziziphus jujuba , (L.) Lam., non P. Mill. Ziziphus jujuba , (L.) Gaertn. Ziziphus mauritiana , Lam. var. orthacantha (DC.) A. Chev. Ziziphus mauritiana , Lam. var. deserticola A. Chev. Ziziphus mauritiana is widely cultivated in dry areas throughout the tropics. It tolerates extremely dry habitats and is an extremely valuable tree for people that live in such climates. Ziziphus mauritiana has a multitude of uses, including culinary and medicinal. It can form dense stands and become invasive in some areas, including Fiji and Australia. In Australia Ziziphus mauritiana has the capacity to greatly expand its current range in northern and northeastern Australia. The main industry affected is the cattle industry but Ziziphus mauritiana also has environmental impacts in woodland and savanna ecosystems. Roadsides and former agricultural land, to 600m in Fiji, (Smith, 1985. In PIER, 2002). In India, the tree grows best on sandy loam, neutral or slightly alkaline. It also grows well on laterite, medium black soils with good drainage, or sandy, gravelly, alluvial soil of dry river-beds where it is vigorously spontaneous, (Morton, 1987). Even moderately saline soils are tolerated. The tree is remarkable in its ability to tolerate water-logging as well as drought. In China and India, wild trees are found up to an elevation of 5,400 ft (1,650 m). In India, the minimum shade temperature for survival is 44.6º to 55.4º F (7º-13º C); the maximum, 98.6º to 118º F (37º-48º C), (Morton, 1987). Review: Dr A.C.Grice CSIRO Sustainable Ecosystems, Townsville, Australia. Recommended citation: Global Invasive Species Database (2019) Species profile: Ziziphus mauritiana. Downloaded from http://www.iucngisd.org/gisd/species.php?sc=214 on 21-04-2019. 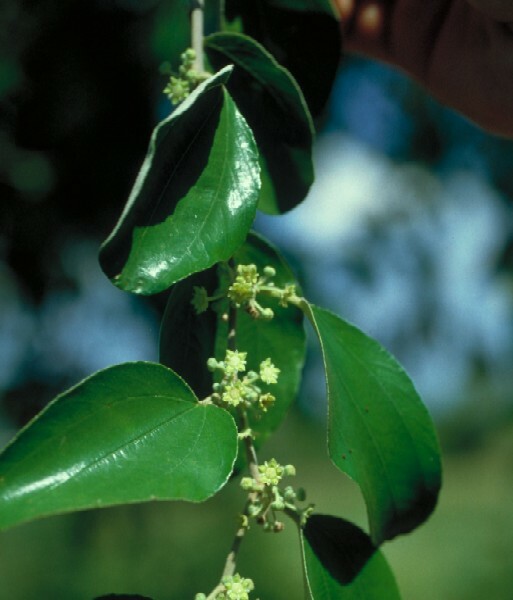 Preventative measures: A Risk assessment of Ziziphus mauritiana for Australia was prepared by Pacific Island Ecosystems at Risk (PIER) using the Australian risk assessment system (Pheloung, 1995). The result is a score of 12 and a recommendation of: reject the plant for import (Australia) or species likely to be a pest (Pacific). Physical: Mechanical techiques (eg bulldozing) must cut the shoot at least 25cm below ground level to avoid sprouting. Fire kills only a small proportion of the smaller plants (<1m high). Chemical: Effective herbicides include triclopyr/picloram in a 1:60 herbicide-diesel mixture applied as a basal bark spray during times of active plant growth. The same chemical can be applied to cut stumps ay any time of year. It may also be effective in a high volume spray mixture of 0.35L herbicide:100L water to actively growing regrowth. Soil application of picloram-triethanolamine at 35-45 g/sq m can be used on dense infestations. Biological: Biological control has not been attempted (Grice, pers.comm. 2002). Informations on Ziziphus mauritiana has been recorded for the following locations. Click on the name for additional informations. Bolton, M.P. 1990. Control of chinee apple, Ziziphus mauritiana, with residual herbicides. Proceedings of the 9th Australian Weeds Conference. pp. 403-406. Grice, A. C. 1998. Ecology in the management of invasive rangeland shrubs: a case study of Indian jujube (Ziziphus mauritiana). Weed Science 46, 467-474. Grice, A. C. 2002. The Biology of Australian Weeds 39. Ziziphus mauritiana Lam. Plant Protection Quarterly 17, 2-11. Land Protection, 2001. NRM Facts, pest series. The State of Queensland (Department of Natural Resources and Mines) 2002. Queensland Government. Dale, I. (1981). Chinee apple (Ziziphus mauritiana) in north Queensland. Internal Report, Biological Section, Queensland Department of Lands, Sherwood. Grice, A. C. 1996. Seed production, dispersal and germination in Cryptostegia grandiflora and Ziziphus mauritiana, two invasive shrubs in tropical woodlands of northern Australia. Australian Journal of Ecology, 21(3), 324-331. Grice, A. C. 1997. Post-fire regrowth and survival of the invasive tropical shrubs Cryptostegia grandiflora and Ziziphus mauritiana. Australian Journal of Ecology 22:49-55. Hoff, M., Cremers, G., Chevillotte, H., de Granville J.-J., Gu�rin V. & Molino J.-F., 2007. Base de donn�es botaniques Aublet2 de l Herbier de Guyane fran�aise (CAY). Summary: Base de donn�es sur les sp�cimens botaniques collect�s sur le plateau des Guyanes, surtout en Guyane Fran�aise, et d�pos�s � l Herbier de Guyane. Kaaria, Susan. 1998. Fact Sheet: Ziziphus mauritiana - a valuable tree for arid and semi-arid lands. Forest, Farm, and Community Tree network. Summary: Description and information on the ecology, distribution, uses, propagation. Morton, J. 1987. Indian Jujube. p. 272�275. In: Fruits of warm climates. Julia F. Morton, Miami, FL.C13. Center for New Crops & Plant Products, Purdue University. Summary: Description, Origin and Distribution, Climate, Soil, Propagation, pests and diseases. Tony Grice, Pers.comm. 10 December 2002. Summary: Supplied a lot of the information presented in this species Account.